So. These fluffernutter cookies. Just take a moment to let those words sink in. Trust me, in real life, I don’t say “like” that much. Maybe some, but not, like, all the time. Truth be told, the reason it’s taken so long to post the recipe for these, ever since I teased you with them on Instagram, is because our kitchen has been in shambles. I know I shouldn’t complain because I’m so damn lucky to get a kitchen renovation as a renter, but let’s just say our contractor is, well, to put it politely, less than adequate. I won’t bore you with all the details, but after several other issues, we had to point out to him (and convince him) that our microwave/vent needs to be centered over the stove. I know, I know. We’re being super picky. I mean fire hazards and building codes aside, I just really need things to be symmetrical. I’m a little crazy like that. But after much discussion, the tile is being partially torn out and the cabinets are being moved over an inch so that it will be centered. Amen. So even though the kitchen is still not done, luckily, about 10 days ago, we finally regained use of our plumbing so I was able to get back and try these cookies one last time to make sure they’re perfect. And they are. 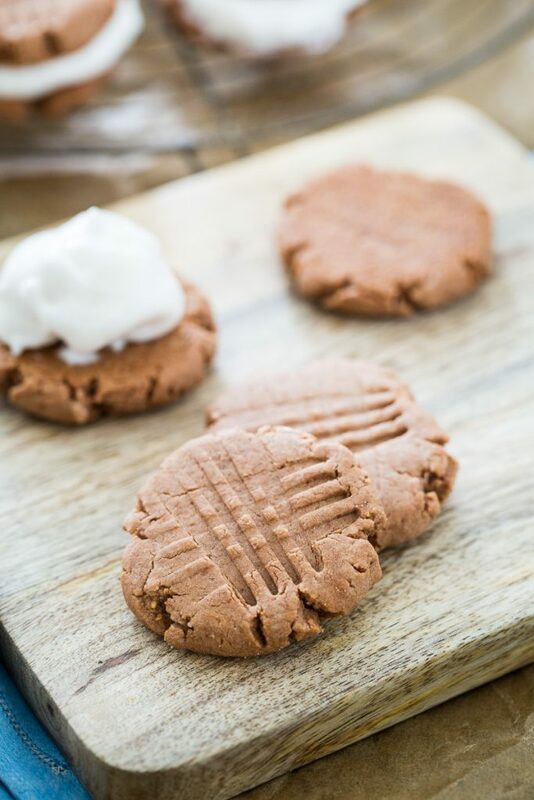 Perfectly chewy and peanut buttery with just the right balance of sweetness. Oh, and how can I forget- you can stuff marshmallow fluff in between two of them to make fluffernutter cookies! Things to know about these cookies: They’re all about timing. You want to wait to make the fluff until right before you are ready to stuff the sandwiches. So, say you want to make the cookies today but serve them tomorrow? Fine. 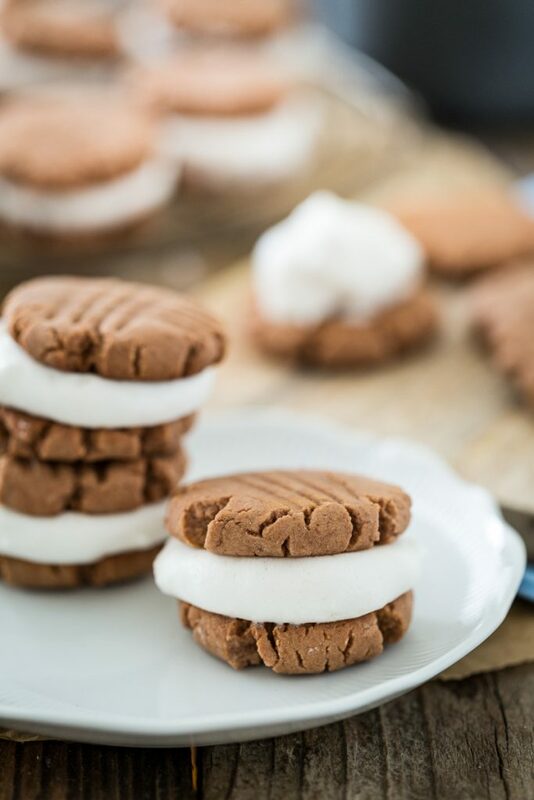 Bake the cookies and then wait until you’re getting ready to serve them to prepare the marshmallow fluff and make the sandwiches. No biggie. Also, The cookie dough is addictive. Don’t be ashamed of eating a big ol’ spoonful or licking the bowl dry. Another thing is that these cookies don’t last long. And I’m not referring to their shelf life (though, they are better the first or second day). These get gobbled up fast. Really fast. 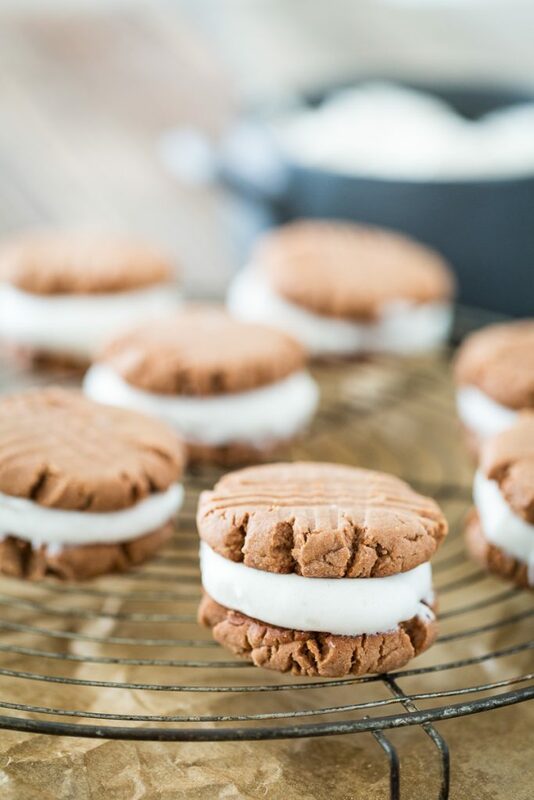 I also won’t blame you if you end up eating all the cookies before they actually end up as fluffernutter cookie sandwiches. That happened to me about 90% of the time when I was testing them. In a medium bowl, whisk together the peanut butter, syrup, oil, coconut sugar, and vanilla extract. Once smooth, add it to the bowl of flour and stir together until combined. Roll 1 tablespoon of the dough into a ball and place on the prepared baking sheet. Repeat with the remaining dough. Use a cup to gently smash each ball into a disc shape. Use a fork to make cross-patterns across the tops of each cookie. Place the sheets in the oven and bake for 8 to 10 minutes or until firm and dry. Let them cool on the pan for about 5 minutes before transferring them to cooling racks. 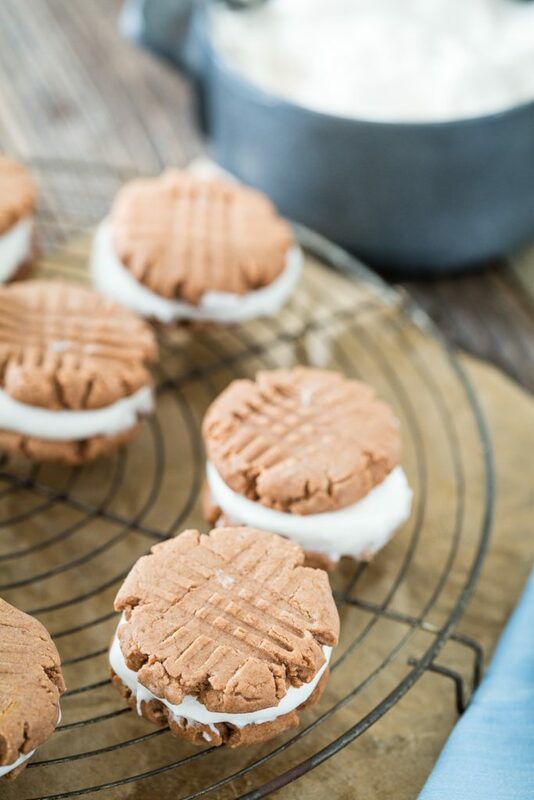 Once cool, scoop a heaping tablespoon of marshmallow fluff onto the underside of one of the cookies. Place another cookie on top. Repeat with the remaining cookies and fluff. Serve at once. 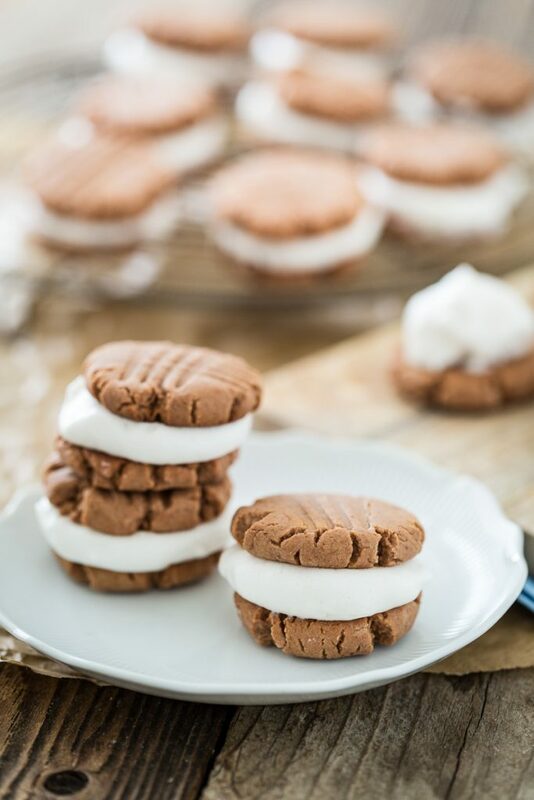 If you plan on serving them much later, make the marshmallow fluff closer to when you plan to serve them and make the sandwiches then. Leftovers cab be stored in an airtight container, taking care not to "smoosh" any of the cookies, in the refrigerator for 1 to 2 days. Enjoy! Congratulations to Jeff Watts, the winner of the Borsari Foods Seasoned Salt Sampler Giveaway! Thank you to everyone who entered! Do you have any construction horror stories? I wanna hear them! 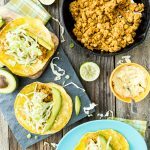 Chickpea Caesar Salad Tacos Please Help Us Find Buster! 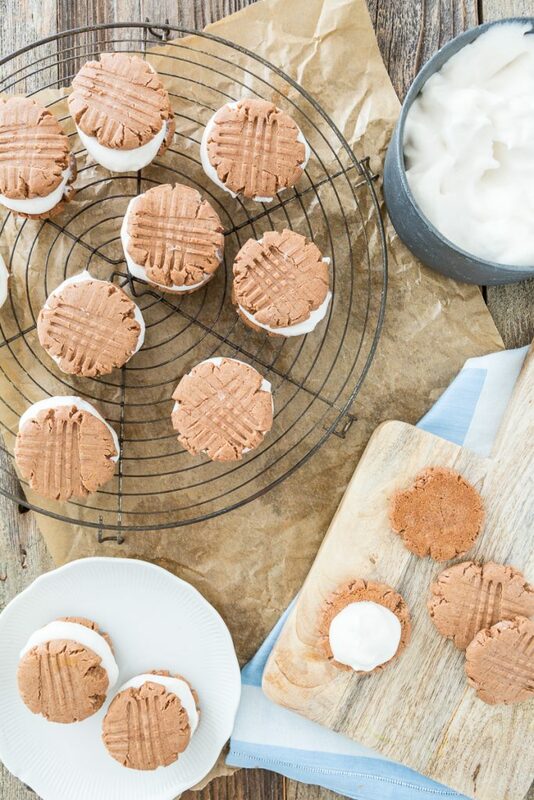 23 Responses to "Vegan, Gluten-free Fluffernutter Cookies"
OK, I really MUST jump on this aquafava meringue bandwagon. First your s’mores waffles, and now this. It’s just too tempting to pass up. The cookies look just like the peanut butter cookies my Granny used to make 🙂 I don’t have any gluten-free flour though. Do you think something like whole wheat pastry flour would also work? These look incredible! Can’t believe they’re gluten free and vegan?! You must be a magician or something! These little babies look divine!! How creative and gluten-free AND vegan?! You do deserve to kick that bowl girl, pat yourself on the back while you’re at it. Love it! These cookies look delicious, and I can relate to you on the construction woes. My parents own a construction company, and when we moved to Florida, they bought a house without even walking inside, figuring that they could fix anything in there. Well, after about TEN YEARS of never ending half finished construction projects, they finally gave up. At one point, we had no electricity for week due to my dad’s sudden declaration that he was just as good as any electrician. He wasn’t, and it took my mom setting her hair on fire while trying to read by candlelight for my dad to admit that he is not an electrician. They ended up moving into a townhouse where they are legally not allowed to make upgrades, and I support that decision entirely. Oh boy, I know construction horror stories. My building was getting their elevators redone since I am pretty sure they were from 1970 and EVERYDAY at 7:30am, they would start drilling, banging, and make so much noise my apartment became unliveable. My kitchen aka my workplace shares a wall with the elevator’s wall and I had to wear soundproof earplugs to get anything done. I called down to the rental office and asked when it would be done, “Oh end of the month, it won’t be too long.” LIES! Five months later, four packs of earplugs, one stressed out cat and some run-ins with the construction guys blaring Katy Perry in the hallway at 8am and it was finally done. 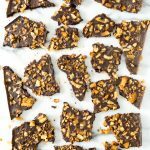 Even writing about it, I feel the need for some cookies…..
Jessica DeMarra recently posted…Sprouts & Chocolate: Uncooked eBook + Big Announcement! kathy patalsky recently posted…19 Ways to Beat the Monday (Or Any Work Day) Blues. With recipes! They look so cute and adorable – a perfect snack for a party I must admit! Okay now these cookies just look absolutely delicious!! I can see me making these for us asap! 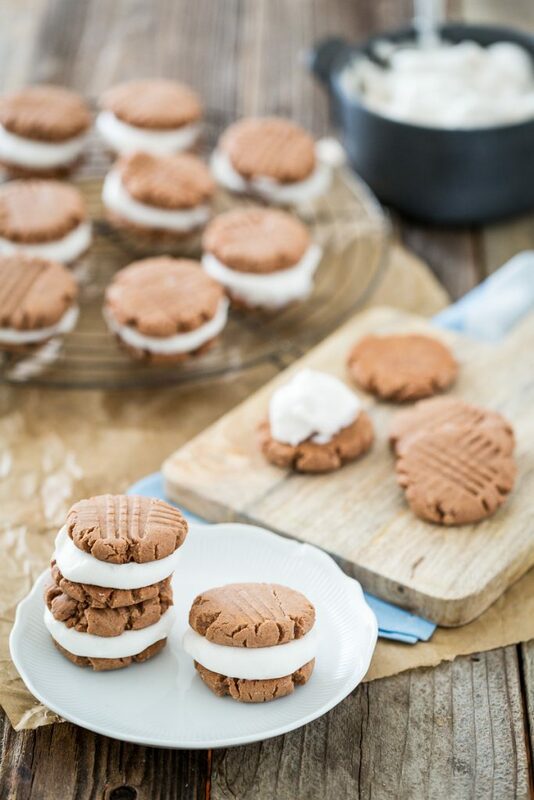 I loooove peanut butter cookies but I haven’t yet used aquafaba for meringues, macarons or fluff. 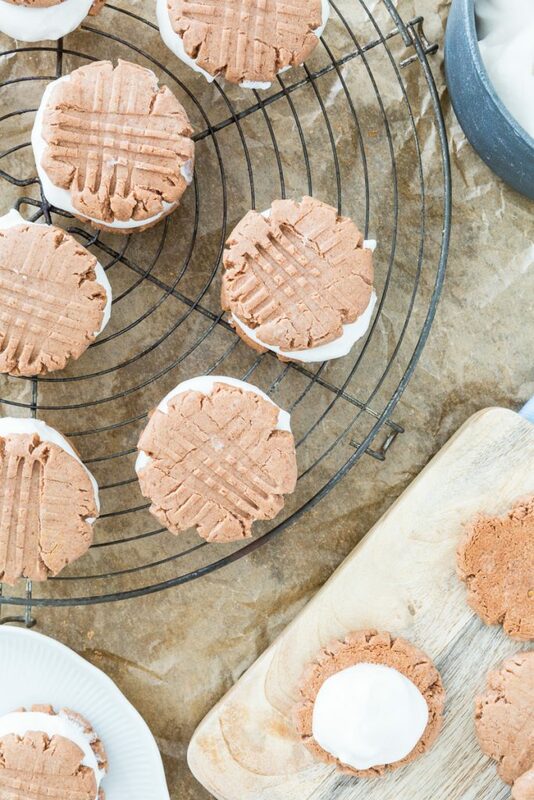 These look great and I’d eat half the cookie batter before it goes in the oven. What recipe plugin do you use? I am going to add one to my blog this weekend! 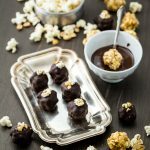 Love your blog – GREAT recipes!!! Thank you! I use Ziplist, however, they are no longer in business. I think they just do updates and that’s it. I will likely have to switch in the future. Sorry! 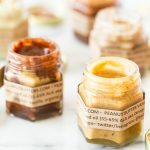 I’ve been checking your blog regularly because it’s one of my alltime faves but I was kind of bummed/concerned that you haven’t blogged since July! I hope everything is okay and that you’ll be back soon! Hi Gaby, Thank you for checking in on me. Life and other obligations have gotten in the way of blogging for the time being but I hope to be back at it soon. I’ll fill everyone in once I’m back. 🙂 Take care! Wow, love this cookies. It is one of my favorite. these look delicious! and I love the name of them! 😉 9 attempts at these babies WOW you have SO much more patience than me ;-)! I think after the 3rd mayyybeee the 4th time (if I felt determined) I would said forget it! glad you finally got them to work though causes they look super tasty! happy friday! This recipe looks delicious. I was looking to make healthier sweets. Love your website.